Most people use the words Ancient Rome and Roman Empire interchangeably. But Rome was found as a monarchy, rose to world prominence as a republic, then finally as an empire reached its greatest prosperity and expanse. It is Rome’s transition from Republic to Empire which should concern Americans more than Rome’s Decline and Fall. By 100 BC, Rome had obtained dominion over a large portion of the land bordering the Mediterranean Sea, but it still had the political infra structure intended for the governing of a City-State. The result was almost a century of Civil War as the political systems proved insufficient and strong men began taking exploiting weaknesses and jockeying for power. 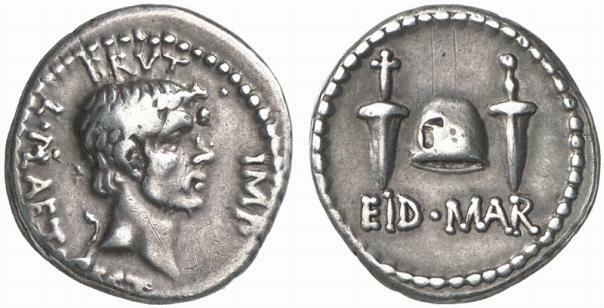 Many of Rome’s great names come from this period: Marius, Sulla, Pompey the Great, Julius Caesar, Mark Antony. The bloodshed ceased in 31 BC when Octavian (soon to be renamed Augustus) defeated Antony and Cleopatra and became the last man standing. From then on, though Rome may look like a republic on the surface, her peace and prosperity would be vouchsafed by the strength of one man. Rome had returned to tyranny. It is this period of Roman history that I believe has the greatest similarities to the America of today. America has grown larger and more prosperous than our founder probably could have imagined. In their wildest dreams could they have conceived of the 13 colonies along the Atlantic being transformed into a nation of 50 states, 300+ million citizens, and a 15 trillion dollar economy? Because of this, many of our political institutions are stretched more than intended or expected. One example: the ratio of members of congress to citizens in their district was originally around 1:30,000. Today, the number is closer to 1:700,000. The danger for America, then, is that as its political systems become unable to cope with the size of the nation, the situation becomes ripe for people to exploit areas of weakness and subvert republican principles in favor of one-man rule. Thus I would argue that America is indeed in danger of following Rome down her path, but that the risk to America today is not that it will collapse into obscurity but descend into tyranny. A quick question and addendum: if one was to follow your analogy, does it point to an American emperor, or something else? The “descent” you map out in Rome was, for the most part, determined by those with the most power. While I attempt to avoid sounding as if I offer a Marxist reading of Roman history, on a simplistic level the Republic fell and the Empire began as the result of individual men with large armies. Pompey had a big army; Caesar had a better army. Antony had a big army; Octavian had a better one. Power was largely determined by military might, and battles had far-reaching political implications. So, Octavian ushered in the Augustan reign behind a military victory; this was the linchpin of the Empire. Is America likely to follow a similar path? I don’t believe so, at least not in the specifics. Where does the majority of power lie in America today? Is it in armies? No. Only the national government has an army. There are no real internal armies to threaten the American military. Who could imagine Romney arming a gaggle of Texans and marching against Obama and his Illinois calvary? Its silly. Power struggles aren’t played out in military arena. I would argue that power is now more synonymous with Money. Large corporations and their hordes of lobbyists hold much of the real power in Washington. The parties are more and more simply the political arms of different media and corporate “conglomerates” (not economically, but ideologically). So, if we are to follow Rome’s trajectory, as you lay out, I don’t see a political tyrant coming to power from military might. I see big business slowly consuming the government, creating a conglomerate tyrant made up of numerous individuals, likely behind-the-scenes. I don’t really believe in the Illumati or the Bilderbergers, but if you’re analysis is in any way true, this seems the more likely outcome. interesting post Dr. Jones, i never knew our founding fathers borrowed some of Ancient Rome idea. Stephen Margheim is on to something when he says America is more likely to be controlled by corporations. At the moment, it is no secret that the American people are largely dominated by the “elite” class, who profit from and hold strong influence over (modern day power) everything that goes on in our country!